Choosing the right recording studio in Nashville can be an overwhelming process. We understand the importance of choosing the best producer, engineer, and recording facility for your project. You are searching for a team that will embrace your direction, and help you achieve the sound that you desire. We know how it feels to put your heart and soul into writing a record. We have that same dedication to maintaining your artistic integrity, and helping you produce the record that you want to create. Our favorite quote reads, “The best use of life is to use it for something that will outlast it.” That is our motto for every project that we choose to take on. Our production process is quite unique for a Nashville recording studio. If you are looking for a studio in Nashville, you probably know that there are many excellent facilities, some of the best musicians in the world, and a diverse community of extraordinary producers. The difference of The Record Shop experience lies in our detailed preparation and focused execution, during every aspect of the production process. We begin every project with a series of pre-production sessions. The first part of pre-production consists of a casual meeting to discuss the overall direction of your project. Before we can understand the type of record that you want to make, we need to learn your musical journey. What inspired you to become an artist? What impact do you want to make with your music? Most importantly, what do you want this record to say to its listeners? Once we know you as an artist, we can understand the record that you want to make. Next, we go through the song selection process. You may already have a list of songs that are ready to record. You might have a catalog of ideas to build from. Either way, we want to hear all of your material so we can understand your depth as an artist, and help choose the best songs to create a well rounded album. Are you are an artist looking for songs to record? Do you need assistance in developing your ideas? We have a diverse catalog of material, and an eclectic songwriting team that can help you find what you are looking for. Once we have the songs selected, we begin developing the blueprint for the production process. In this stage of pre-production we review the basic arrangement of the song, instrumentation, tempo, groove, melody, lyrics, etc. Some artists have many of these elements worked out ahead of time. Others ask for our guidance with these aspects. Our approach is entirely dependent upon what the songs call for and what the artist desires. Either way, this process is an essential aspect of ensuring that we take the proper approach in the production process. At the end of these sessions we want to be able to hear what the record should sound like before we step into the tracking room. The final stage of pre-production is selecting the right recording facility and musicians (if required) for the project. Every record requires it’s own sonic identity. Therefore, one studio isn’t always right for every record. 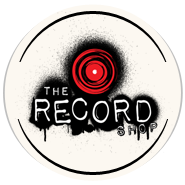 Because we work in a wide variety of genres, The Record Shop offers a diverse selection of state of the art recording equipment, microphones, and instruments to achieve the sound that you’re looking for. However, if we feel that your record would be captured more effectively in a different studio space, we may choose to utilize one of the many Nashville recording studios that we work with. Some of these studios include Sony Tree, Blackbird, and Ocean Way. If you are hiring session players for your project, the most important part of this process is choosing the musicians that best fit your style. Nashville recording studios are lucky to have access to some of the best musicians in the world. Just like recording facilities, every great player isn’t necessarily great for every project. Therefore, we hand select the players for each session based on their ability to capture the vibe of the record. We go through this process together, to ensure that the musicians that you hire will provide exactly what you want to hear. Once we select the band, we send each player a detailed outline of our pre-production process and demos of the songs. The musicians will then have some time to get familiar with the material, and have a detailed discussion with the producer in preparation for the tracking session. When necessary, we may also schedule a rehearsal to run through the material before the tracking day. We take these extra steps in the pre-production process to ensure that when it comes time to press record, every one in the room has the same vision. Then our focus becomes capturing the right performance that will bring your record to life. The next stage of the production process is the tracking sessions. This is where our preparation during pre-production really pays off. Every great recording has one thing in common. It captures a moment in time where inspiration, creativity, and musicianship find a perfect balance of emotional expression and precision. The final stage of the recording process is usually the final vocal sessions. In preparation for the vocal sessions, we complete extensive editing, arrangement, and balancing to make sure that the track is inspiring to perform with. Next, we test the artists voice on a variety of microphones to find the one that best suits their tone. Once we have selected the best mic, we then compare which pre-amp and compressor combination responds best to the performance. Every part of the chain, from the artist’s voice to Pro Tools, provides its own unique color. Therefore, we take the time to find the proper combination that will provide the best sonic response. Now that we have all of the technical details in place, it’s time to cut the vocal! Our main focus during these sessions is to capture the raw emotion that inspired the song. Every artist has their own approach. Some songs call for different methods, but once the vocal is complete we want it to embody an experience that the will capture the listener. Sometimes we run the song down top to bottom until we have the desired performance. In other cases, we will focus on the song in sections, recording multiple takes of the same part and then “comping” the best pieces into one final vocal. Regardless of the method, we work to make sure that every note, word, and breathe fall naturally and precisely in place. If that takes 30 minutes or all day, we will work it out together until we have a performance that authentically represents the track. Once the recording is complete and approved by the artist, we begin the mixing and mastering process. In these stages, we reference our initial pre-production discussions to develop the overall sonic approach. In the mixing process, we utilize a variety of classic analog equipment and the latest in digital audio technology to achieve the desired balance. We prefer for the artist to be involved in each stage of the mixing process to ensure that we are achieving the sonic direction that they envision. We begin with an initial mix to balance out the elements and enhance the track. Once we have the mix to a point where we feel it is sitting right, we have the artist review the mix and provide feedback. We then go back to make additional adjustments until we feel the mix is complete. At that point, we have the artist review the mix again, and continue to make adjustments until everyone is satisfied with track. Upon approval of the mixes, we begin the mastering process. In this stage we rely on the trusted ears of some of the top mastering engineers in Nashville and abroad. As in every stage of production, we carefully select the mastering engineer based on what the record calls for. In order to allow our clients to focus on the music, not the clock, we offer package rates that include all aspects of the record production process. These rates are determined on a per project basis and vary based upon the requirements for the record. Now that you have a better understanding of the unique Nashville recording studio experience at The Record Shop……. click here to tell us about your project! !